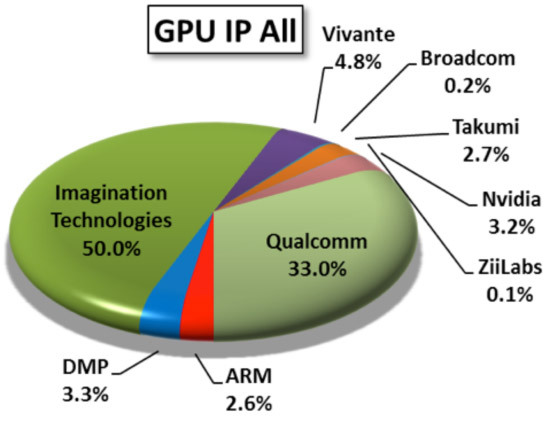 TIBURON CA 23 March, 2012—Jon Peddie Research (JPR), the industry’s research and consulting firm for graphics and multimedia, announced estimated mobile devices graphics chip shipments for 2011. Mobile devices include smartphones, tablets, cameras, vehicles, and game consoles. 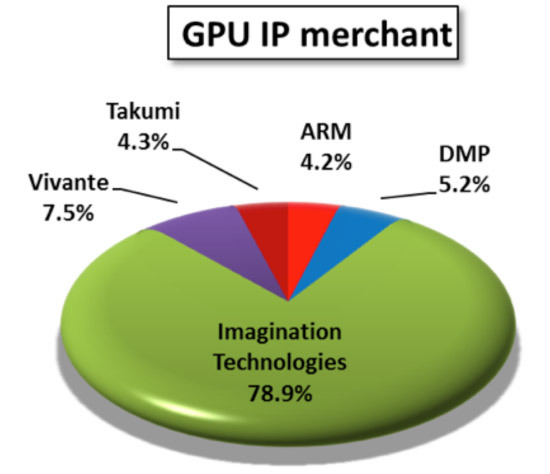 Imagination recently announced the first products in its PowerVR Series 6 family, previously codenamed "Rogue." The company also said it has eight licensees for Series 6 cores including: ST-Ericsson, Texas Instruments, Renesas and MediaTek (plus JPR believes Apple, Intel, and Samsung). This is along with MStar, Ricoh and Rockchip, joining existing partners like Sony, Sigma and Realtek for the company’s PowerVR Series5 family.